OK I registered, and now? 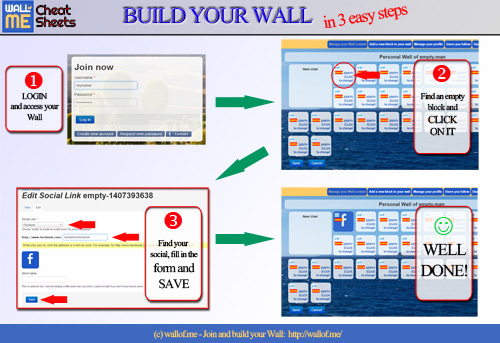 And now, it's easy to build your wall... follow these three easy steps! 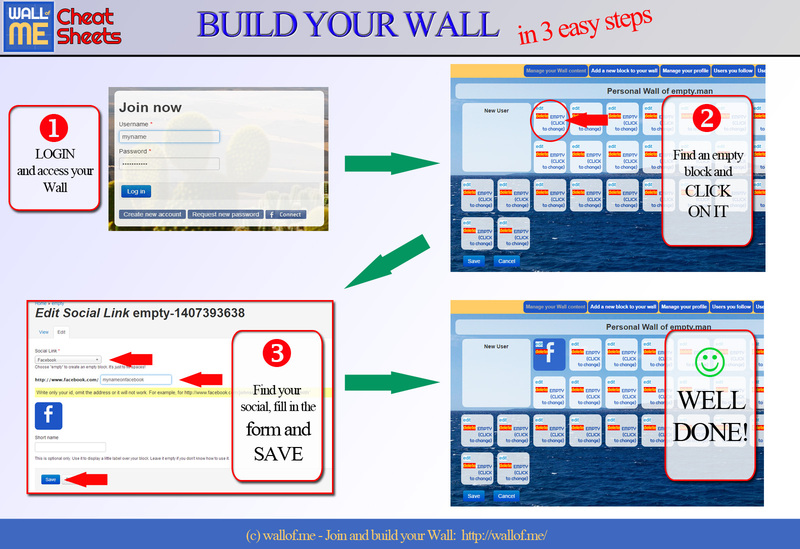 Consult the "Intergalactic guide to Wall of Me"
Also watch good Examples of Walls!